Back in February this year, the Federal Communications Commission, or FCC as it is commonly known, passed a new set of rules on Net Neutrality that basically prevented ISPs (Internet Service Providers) from throttling connection speeds to certain services in order to charge their users (and the services in question) more for smooth access. While the ruling was passed and the ISPs are supposed to obey it, the million-dollar question is, are they actually doing it? 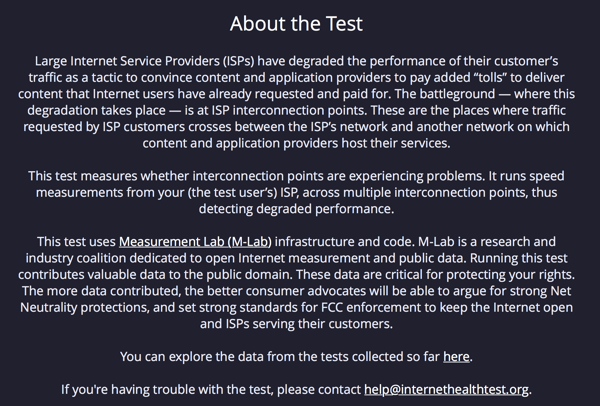 With this in mind, Fight for the Future has coughed up a new tool called “The Internet Health Test” that allows you to see how your Internet connection is performing, and whether there is any throttling being done by your ISP or not. 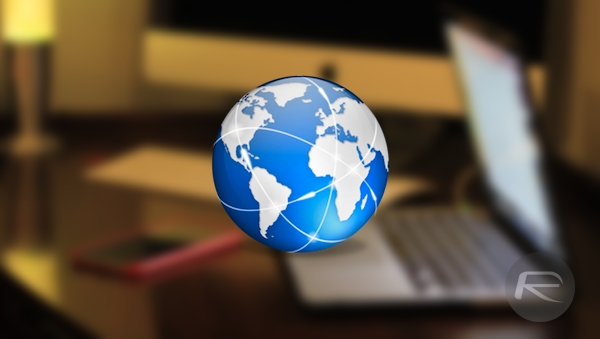 The test, which is online and runs simply through your Web browser – we tested on Safari for OS X and Chrome – basically “checks your connection for signs of any degradation at all.” It does so by establishing connections to a number of interconnection points between different networks that are outside of your ISP’s domain, and then checks for consistency. If there is a high level of inconsistency between different connection nodes, chances are likely that your ISP is in violation of Net Neutrality, and some level of connection throttling is being done. It’s worth noting that the February ruling of the FCC came after Comcast’s infamous throttling of Netflix streams for its customers, resulting in a deal between the two that raged the entire Internet over what Comcast had done. The Internet Health Test is designed to use those interconnections that usually host popular content, such as those from Netflix, HBO GO, BBC iPlayer etc., and uses crowd-sourcing – data from hundreds of customers – to determine whether any violations are being done. In other words, if an ISP turns fine against most nodes, but has problems with a particular one, it’s likely that Net Neutrality is being violated. This health test doesn’t give you much on its own, but when used in conjunction with results from other users, becomes a powerful tool for you to determine whether there is a legitimate violation that you can act against. If nothing, you’d at least get to see how consistent your Internet connection basically is. 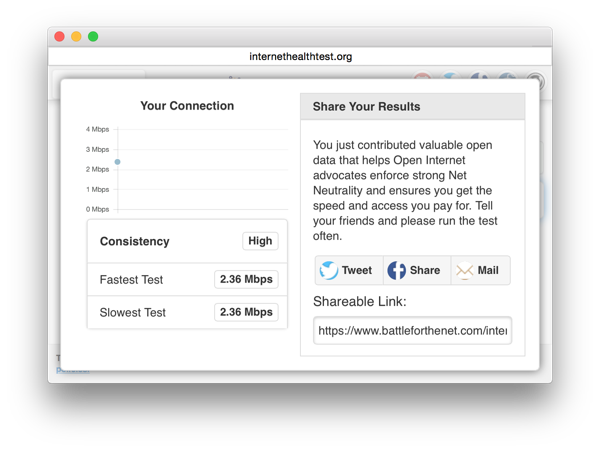 Point your browser to battleforthenet.com/internethealthtest and see if your Internet connection is healthy or not. Yay.. Our internet is healthy but is it accurately ? Is it real ? Don’t know. Does it works outside US? I care, because I want what I pay for. Simple as that. Good luck with that. Telling your ISP not to throttle your connection isn’t as easy as you think. First off that is a figure of speech. Second it doesn’t matter, they can’t see the encrypted data your moving but they can see how much of it. You’ll Probably get away with a VPN but they can still throttle you if they choose to. And dude, cool down, you don’t have to be so hot in the comments. They also throttle those who don’t subscribe to all the crap they want to sell you like DirecTV or a landline phone. They hate cordcutters. Living the dream! Literally nobody cares that you’re okay with being ripped off. And nobody cares that you’re butthurt about being ripped off. ISPs don’t give two shits about ripping you off.